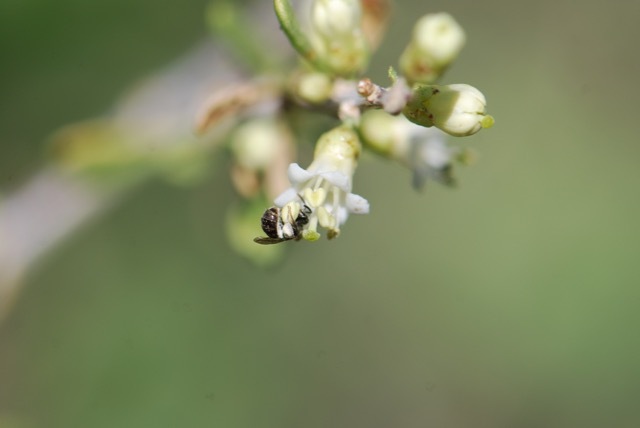 After I wrote last week's post about insects gathering nectar and pollen from a flowering wolfberry plant, I visited the plant once more. It looked quite different. 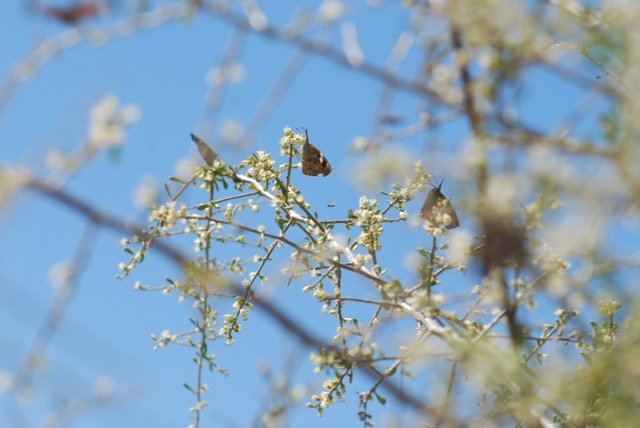 Rather than one or two snout butterflies here and there, there were over thirty fluttering around. Can you see the long snout that gives them their common name? The caterpillars that hatch from the eggs are green. 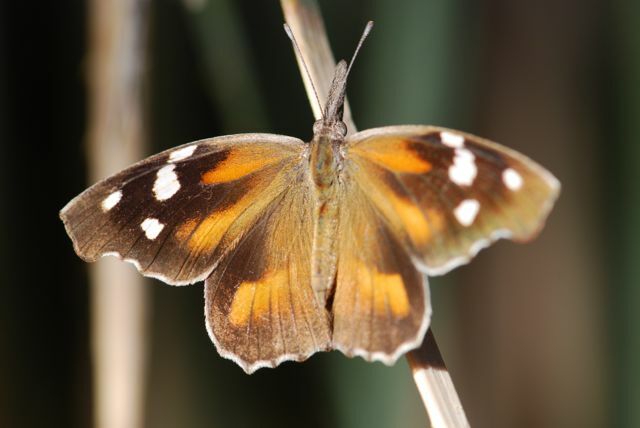 Butterflies and Moths of North America website has some photographs of the caterpillars. When they are done feeding, they form chrysalids that are a similar green color. 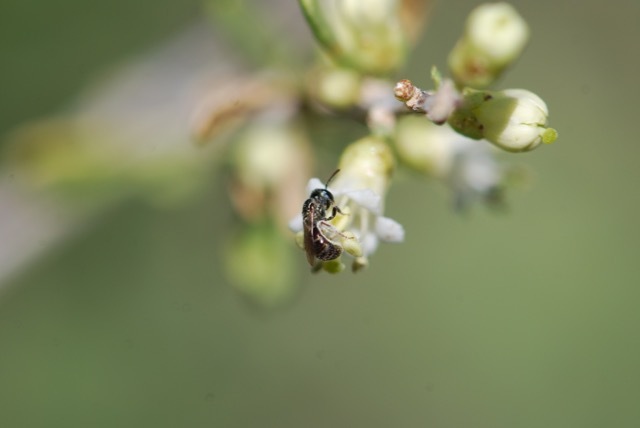 Today, the wolfberry has finished flowering. 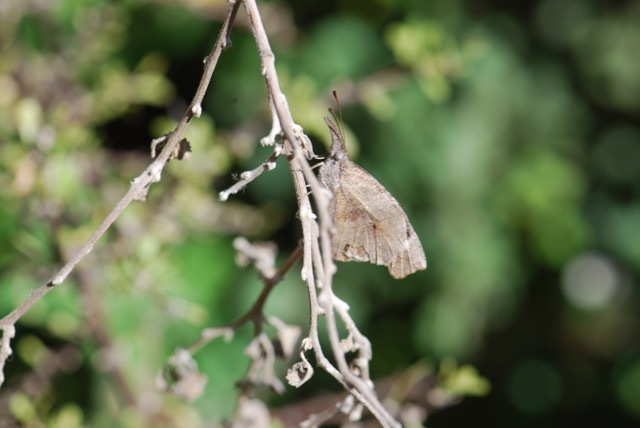 I wonder where the snout butterflies are now. 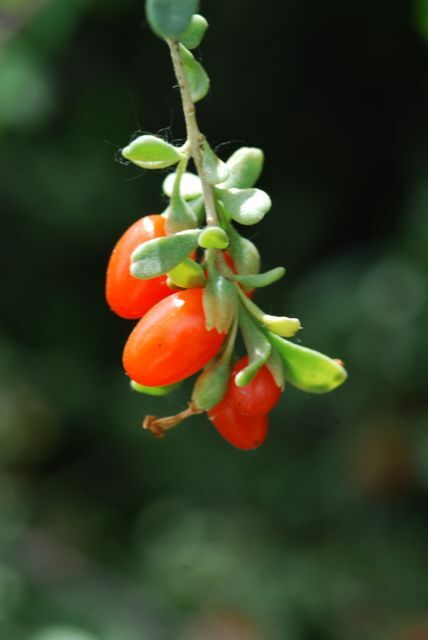 Our mystery seeds from last week came from a wolfberry or thornbush, genus Lycium. 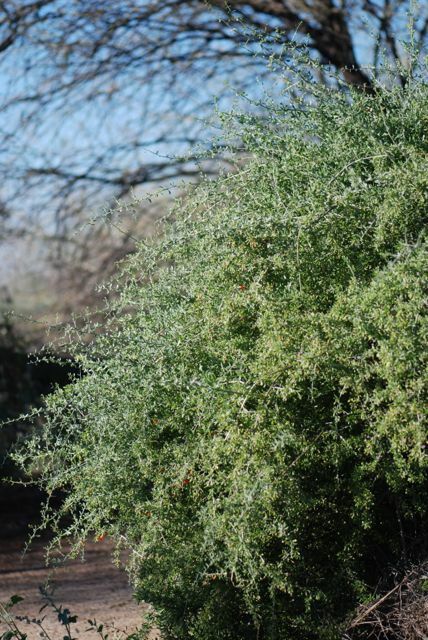 At least ten different species of wolfberries or thornbush grow in Arizona. 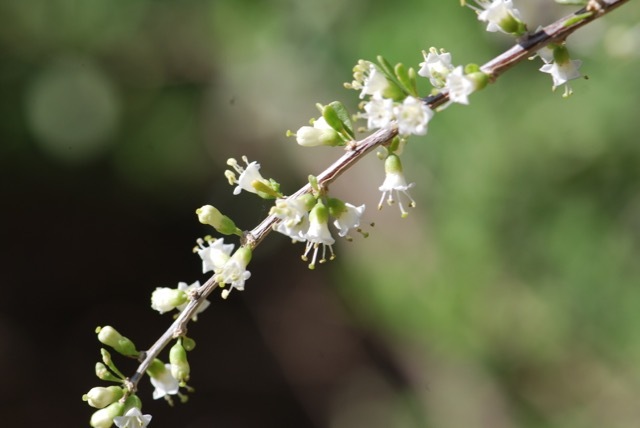 Some common species are the Anderson thornbush, Lycium andersonii, Berlandier wolfberry, Lycium berlanderi, and the Fremont thornbush, Lycium fremontii. They are known for their lovely orange to red fruit. 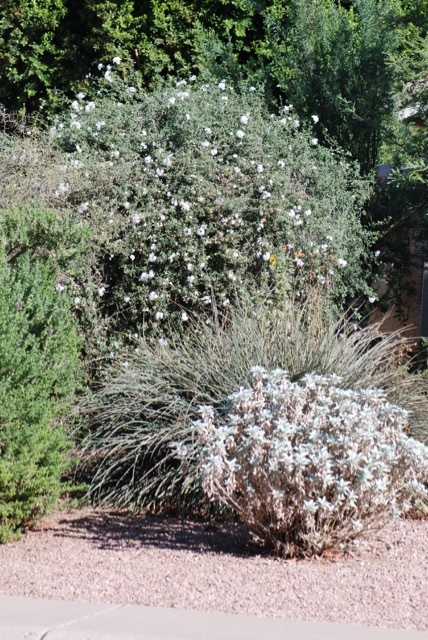 The plants can grow to be large, somewhat messy-looking shrubs. Regardless of their appearance, wolfberries are wonderful for wildlife gardens. 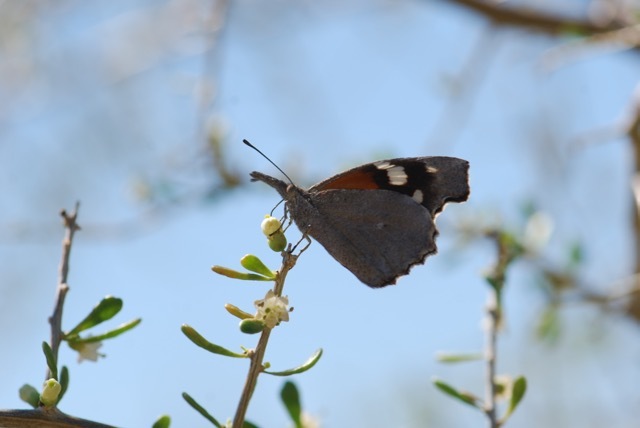 Bees, butterflies and even hummingbirds will visit the purple to lavender flowers. 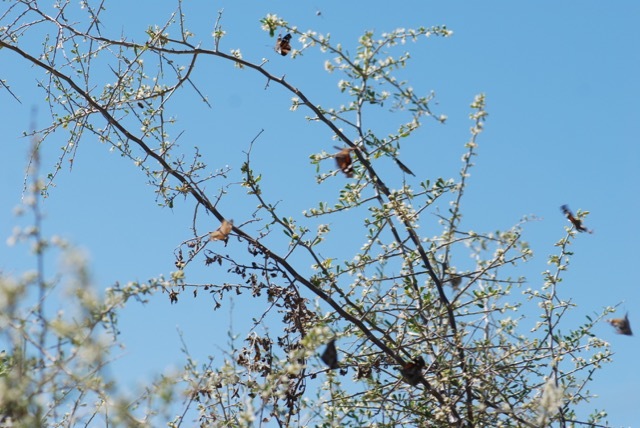 A variety of birds and other wildlife eat the berries, which are often on the bush at the same time as the flowers. 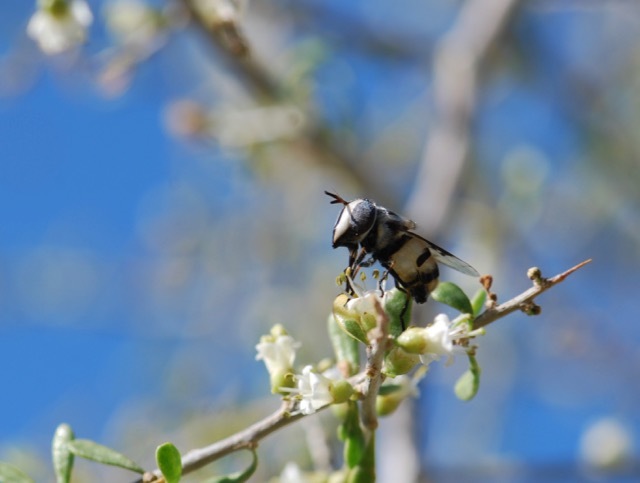 The berries of the most species are also edible for humans. 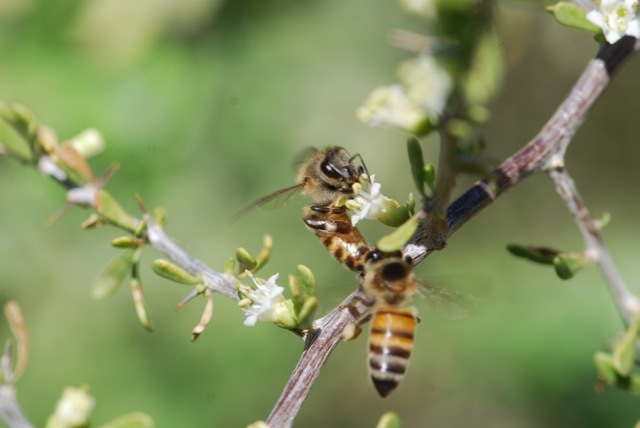 In fact, two species of Lycium from Asia have been used for their medicinal properties for thousands of years. Caution: Wolfberries are related to some plants that can be poisonous - the nightshades- which can also have red berries and purple flowers. 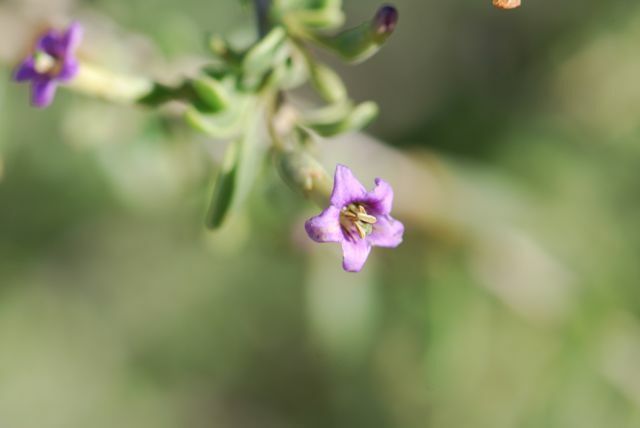 See for example the bittersweet nightshade, Solanum dulcamara. Also, avoid unripe berries. 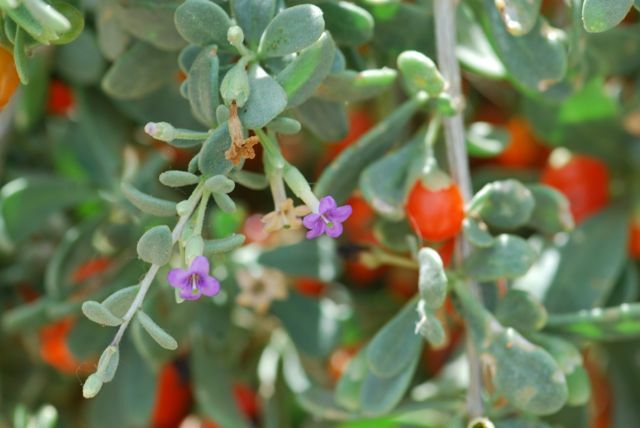 Wolfberries are drought tolerant and grow easily in the desert. 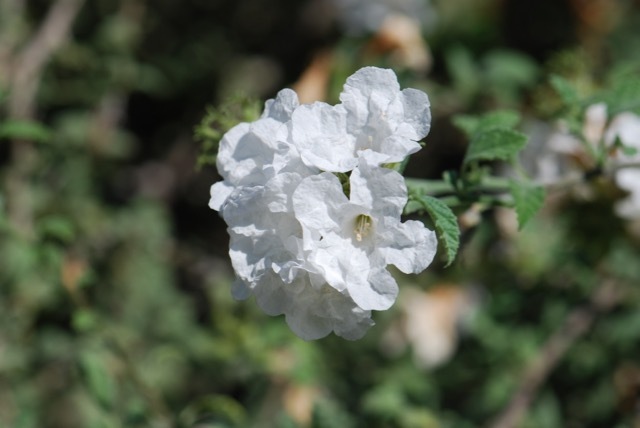 They can be started from seeds or purchased as plants from the nursery. 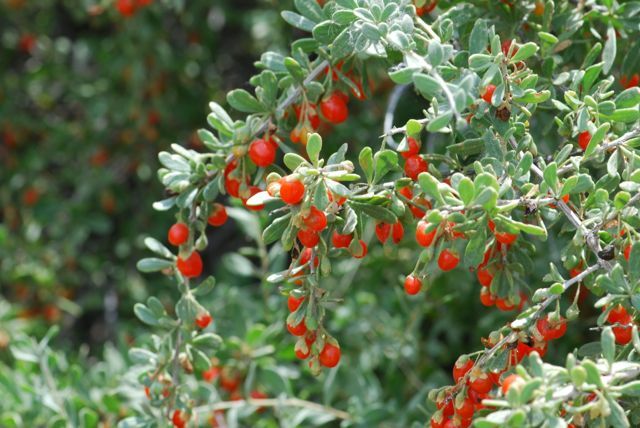 If you are interested in growing wildlife-friendly low-water-use plants, give wolfberries a try! 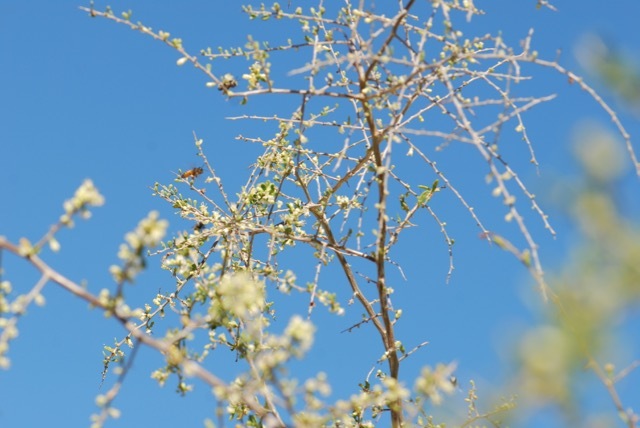 Interested in learning more about berries that grow in the West?